I moved to Houston from Ohio more than 5 years ago and one of the hardest things about that transition was September. September in the Midwest is kind of a magical month. The weather begins to change. Leaves start to turn colors. Summer feels like it’s over and a new season begins. But in Houston typically, September feels like August. It’s usually still pretty hot here (make that really hot) at a time when you are ready for a change. Well, this week, September has been glorious. Cool mornings. Less humidity. It feels like a change of season. And it makes me want to shift toward some Fall tastes. 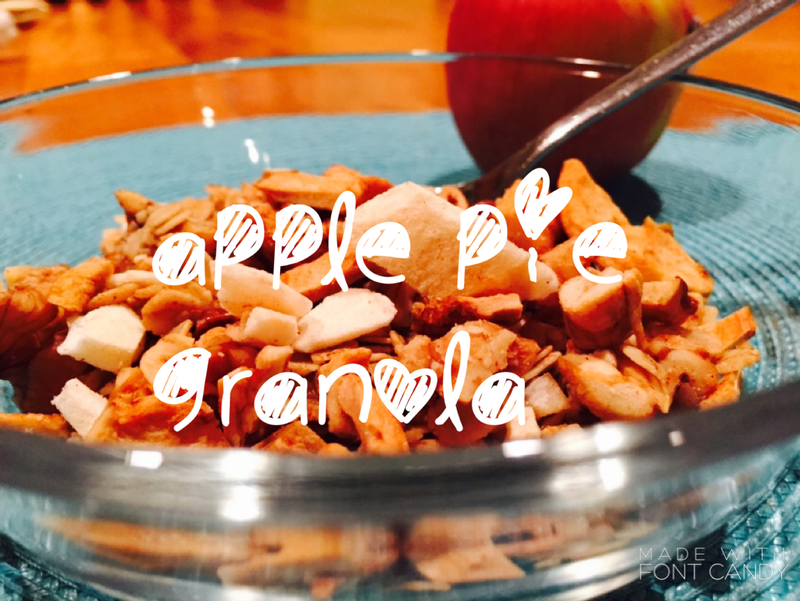 So I made Apple Pie Granola to celebrate this sweet September. I wanted to get the seasoning just right, so I made my own apple pie spice blend. (You can find a commercial version in any grocery store). 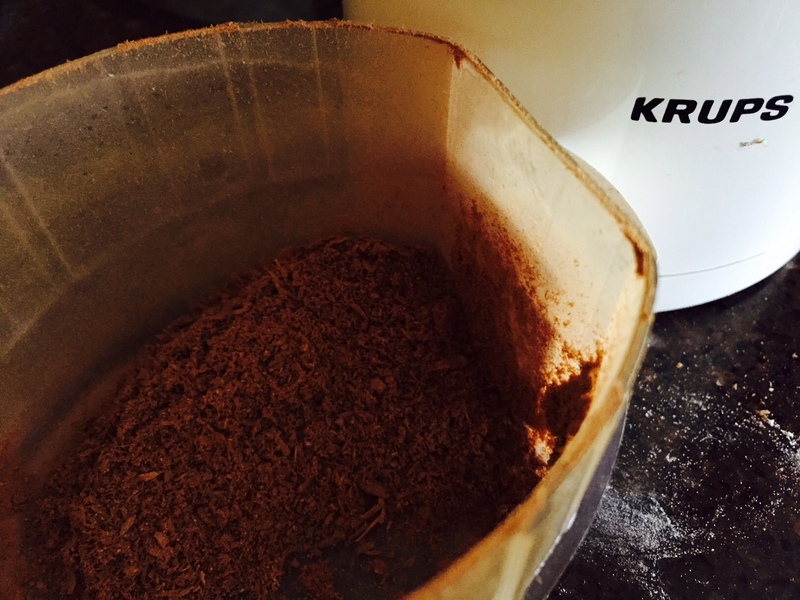 I combined freshly ground cinnamon, nutmeg, ground ginger and cardamom for my blend. It smells so good. Crazy good. I was out of ground cinnamon so I put a cinnamon stick in my spice grinder and made my own. This is so easy. I used a softer Mexican cinnamon called canela, but I’m sure any cinnamon would work. I toasted rolled oats and walnuts first. Then I mixed all the liquid ingredients (mainly coconut oil, maple syrup and apple sauce) together and tossed it with the oat/nut mixture. Then back in the oven until it was perfectly browned and smelled just like an apple pie. 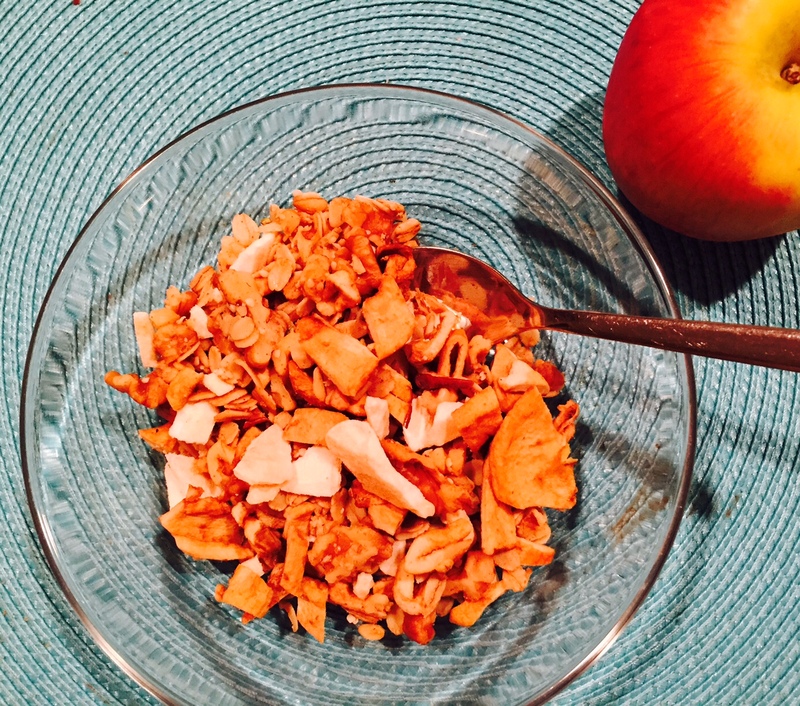 I chopped dried apple rings and freeze dried apple to add to the toasted granola. You could also add crumbled apple chips and I bet it would be really good. 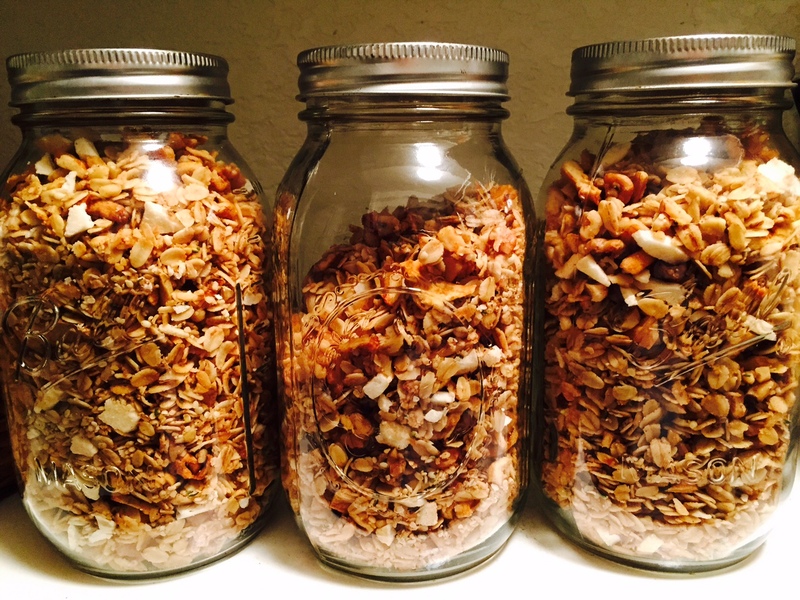 I tossed everything together and spooned it into large mason jars to store in my pantry. Then came the best part…eating it! 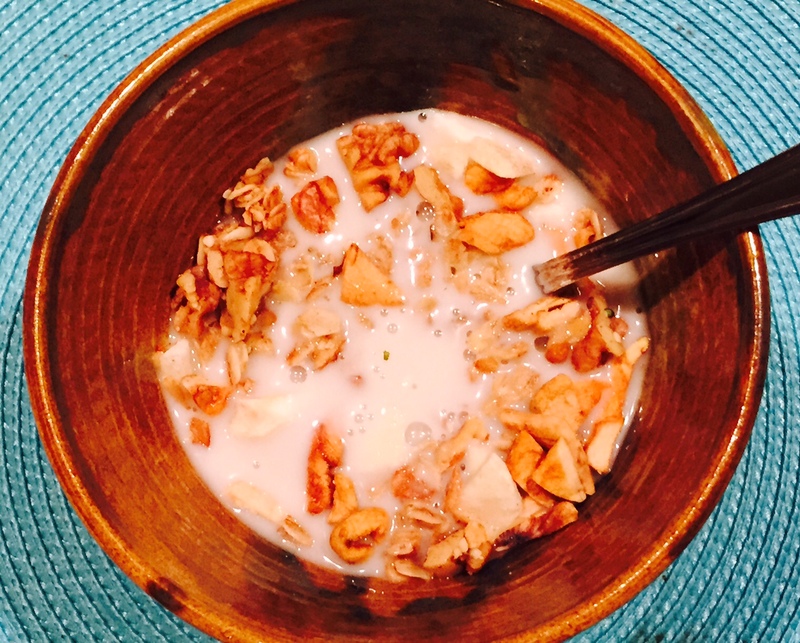 I had it for my dessert with some unsweetened cashew milk and it was so wonderful. 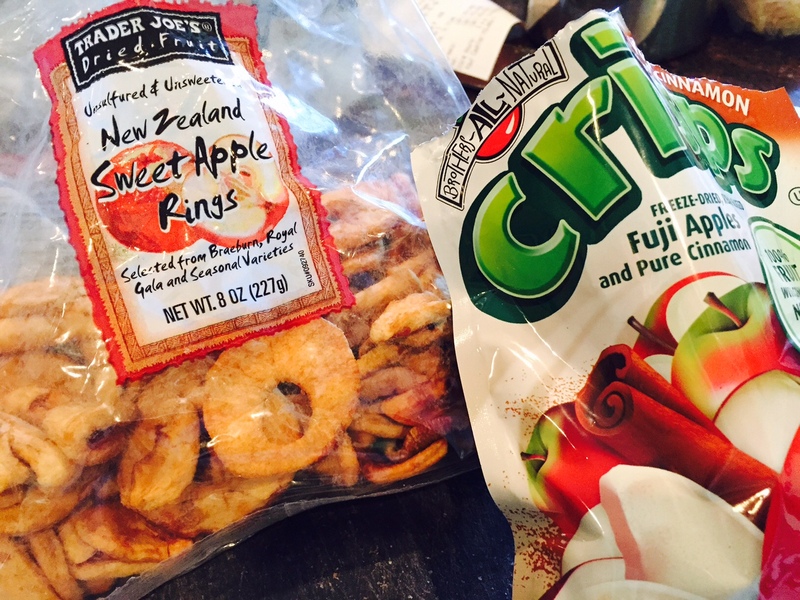 The freeze dried apples really soften up and kind of melt in your mouth. And well, that’s nice. Happy September! Preheat oven to 325F. Line a rimmed baking sheet with parchment paper or a silpat. Spread oats evenly in pan and toast for 12-15 minutes or until lightly brown. Add chopped walnuts and toast another 5 minutes. In a small bowl, combine maple syrup, coconut oil, applesauce and vanilla. Warm in microwave or in a pan on the stove top until coconut oil is melted. 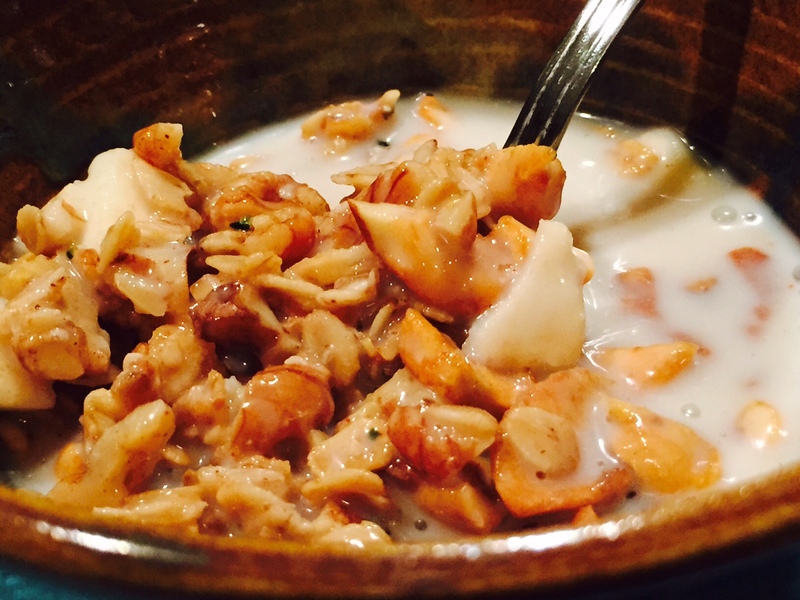 Sprinkle apple pie spice and sea salt over oats and toss to combine. Pour liquid mixture over oats and toss again until well coated. Transfer mixture back to baking sheet and bake 20-25 minutes until medium brown. 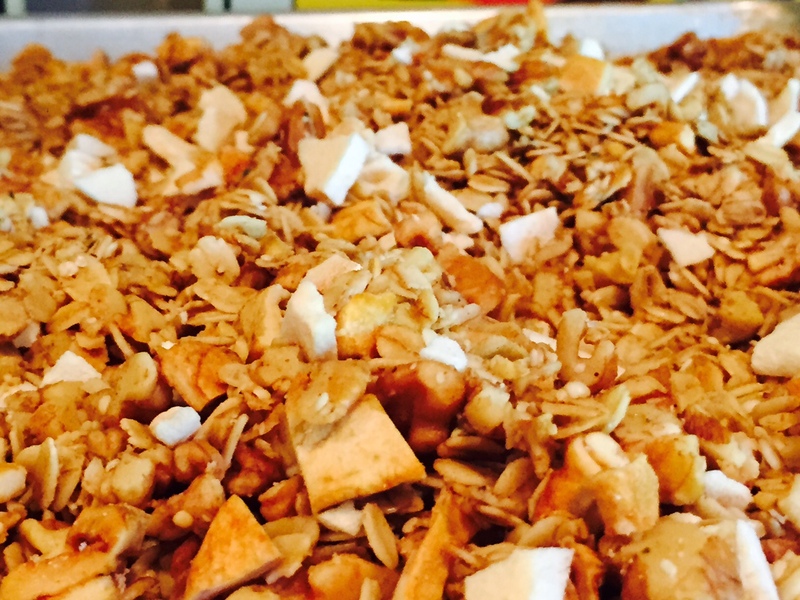 If you want clumps in the granola, do not stir it during the baking time. Remove from oven and let cool. Use a metal spatula to break up the clumps. Store in an airtight container. Place all spices in a small bowl and stir to combine. Store in an airtight container.